Clinark's 'Journey to Foreign Deluxe Edition is out on digital download. The long awaited debut album is a classic Roots & Culture and Lovers Rock Album album. Also feat. Richie Spice, Luciano, Maxi Priest, Kofi, Brinsley Forde (Aswad) and Irie Love,Troy Anthony, Fantan Mojah and Gramps & Peter Heritage. 'Clinark said ' I feel it's time to bring out this Deluxe Edition of Journey To Foreign as I had so many request for the riddims and the dubs. It took almost four years for the original album to be completed and we went through great personal struggles to produce the final works. Due to illness.I was not able to promote the work as I had planned so this gives me an opportunity to bring fans the extension of the work. ' Clinarks previous releases includes his tribute album to Micheal Jackson – 'A legend and A Warrior' clinark says, "I tried to do a fitting tribute to Michael Jackson, while at the same time had to deal with my sister also passing early this year.' Clinark is now availble for interviews and bookings, see contact info below. This deluxe edition will also available on digital download on various sites including iTunes, Amazon and more. 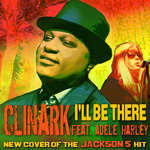 Clinark's Tribute to Michael Jackson A Legend and a Warrior, Album (2010) Nurture Projects (Indie). 2. Music Video with Clinark & Irie Love for 'It's True' song on the album.